Tasted at Bordeaux Index's annual 10-Year On tasting in London and then blind at Farr Vintners tasting. 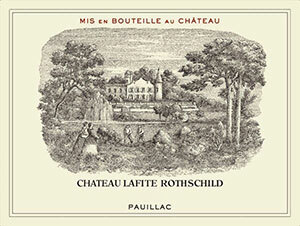 The 2006 Château Lafite-Rothschild offers impressive fruit intensity on the nose, although it does not have the precision of the 2006 Mouton-Rothschild. Red berry fruits intermingle with rose petals and sous-bois scents - very typical Lafite bouquet where less can be more. The palate is medium-bodied with fine tannin and a keen line of acidity. It is certainly very well balanced with graphite-tinged black fruit, but whereas Mouton-Rothschild possesses that peacock's tail, Lafite remains linear. Nevertheless, the sophistication really comes through here. It is a Lafite-Rothschild that may spring a few surprises down the line, one of those wines that keeps drawing you back. Understated class. Tasted April 2016.